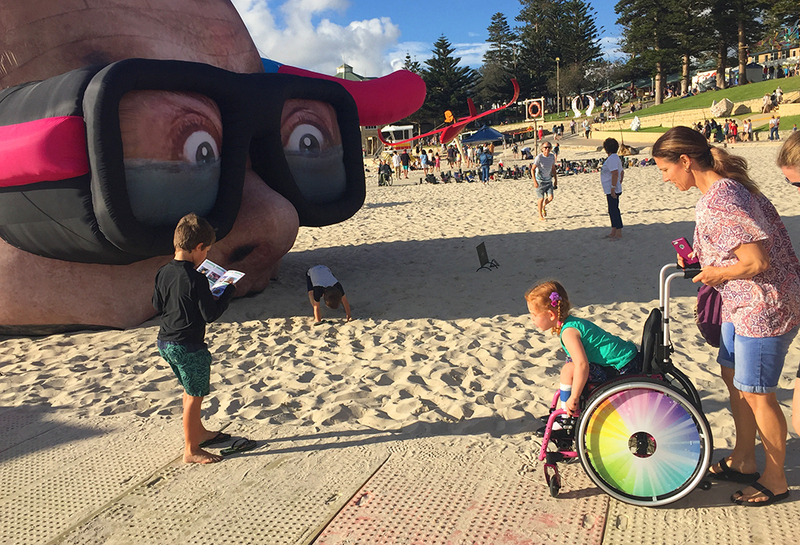 Welcome to our Access & Inclusion Program for Sculpture by Sea, Cottesloe 2019, (Fri 1 – Mon 18 March) proudly supported by Lotterywest. 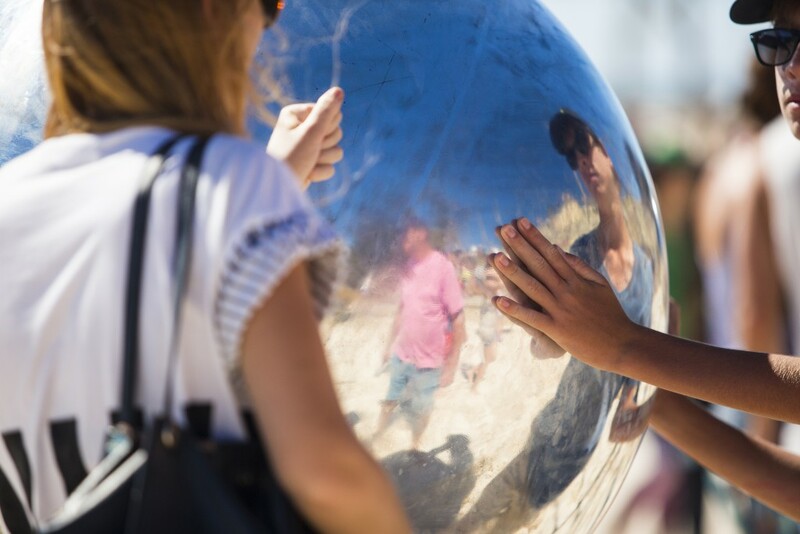 Sculpture by the Sea aims to engender a greater sense of community, introduce the public to a broad spectrum of sculpture, and support emerging and established national and international artists. 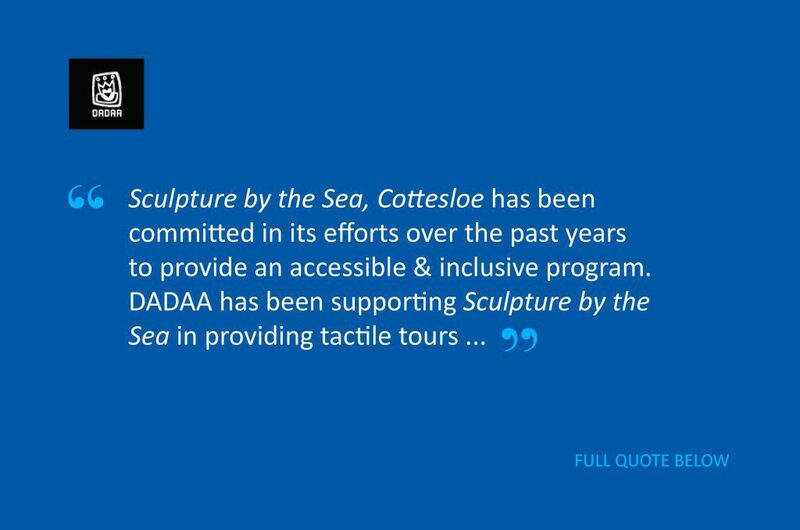 Visitors with disability and their carers are invited to participate in a free Tactile Tour of some of the sculpture in the exhibition with experienced DADAA guides. Individuals, school students, and groups from disability service organisations are all encouraged to take up this opportunity. Auslan interpreted tours are also available. Please contact [email protected] for information and a booking request form. DADAA will confirm your booking by email. 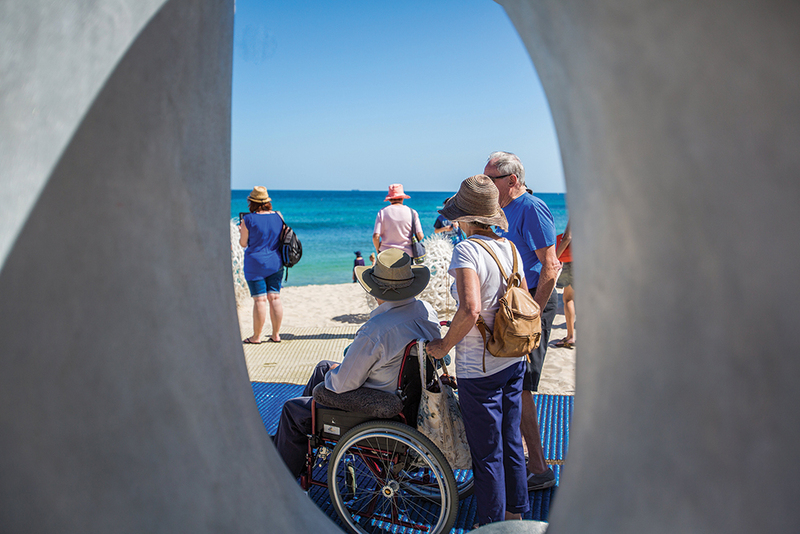 These one-hour exhibition tours invite participants from special interest community groups to visit and enjoy Sculpture by the Sea, Cottesloe 2019, providing the opportunity to meet with an exhibiting artist to view and discuss their work. 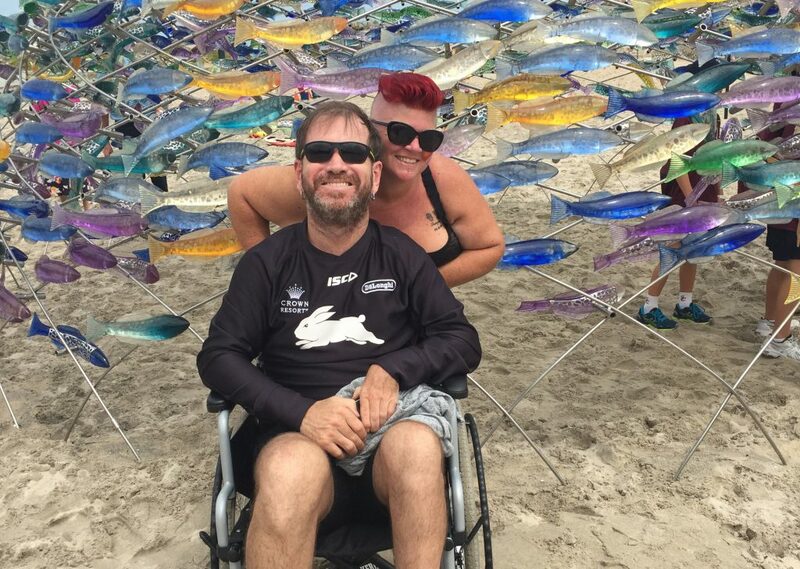 On Wednesday 13 AND Thursday 14 March special matting will be installed which will enable visitors with limited mobility and those using wheelchairs to access and experience sculpture located in specific areas on the beach. Visitor service staff will be available to assist and inform visitors on these days from 10.00am – 7.00pm. Shaded areas on the beach will be provided and additional first aid support will be on site nearby. For your safety, caution is advised when using mobility aids on beach matting. Potential hazards: Slipping, tripping and tipping. For more information please contact [email protected] or (02) 8399 0233. A manual wheelchair will be available for loan to visitors with disability to use during their visit. It is located at the exhibition reception office. Please contact: 02 8399 0233 for more information and to make a booking. DADDA provides access to arts and culture for people with disability or a lived experience of mental illness. 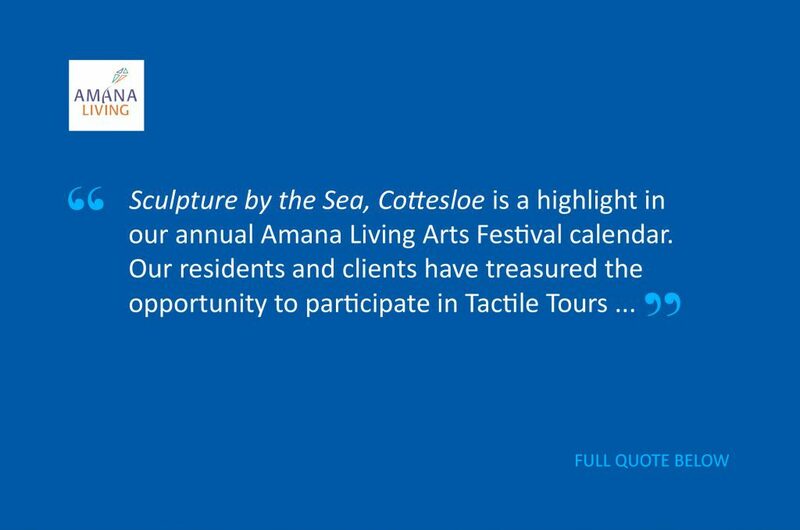 “Sculpture by the Sea, Cottesloe is a highlight in our annual Amana Living Arts Festival calendar. 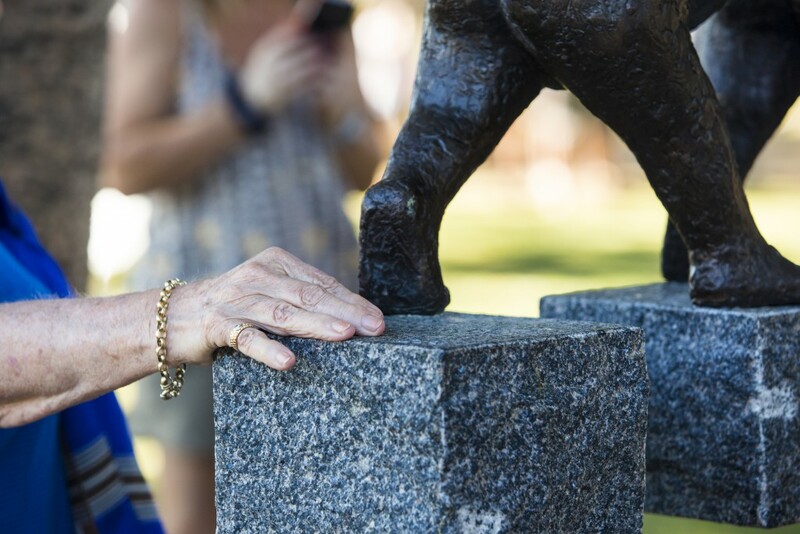 Our residents and clients have treasured the opportunity to participate in Tactile Tours where they have been able to get up close and personal with the artwork and learn about how these amazing sculptures were created. Amana Living Inc. is one of WA’s largest not-for-profit providers of care and services for older people. We would like to thank Lotterywest for supporting the Access & Inclusion Program.